Teacup Yorkie Puppies is a term used to describe abnormally small, or “teacup” sized dogs, and is often used in reference to very small Yorkshire Terriers. A Yorkshire Terrier that matures to a weight between 4 and 7 pounds is what every reputable breeder consistently strives to attain in order to preserve the breed standard. Generally, any dog weighing less than 4 pounds when fully grown is considered to be teacup sized. Many people may not be aware that there are considerable health issues and risks associated with owning such a small sized dog, including heart disease, luxating patella, hydrocephaly, hypoglycemia, open fontanels and seizures because these tiny dogs are usually inbred, breeding runt to runt until they become so small that the puppies cannot survive at all. 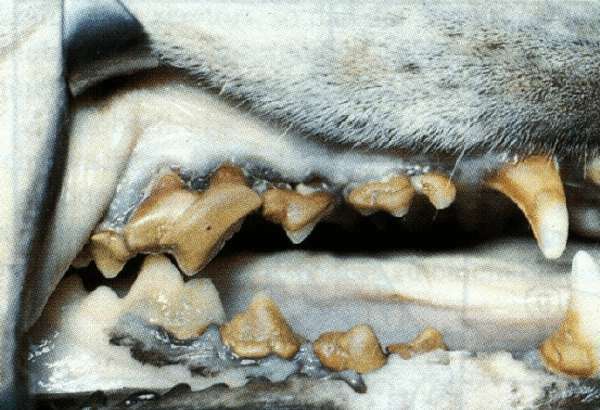 “Teacupism” is a highly controversial breeding practice that is not encouraged by responsible breeders because it creates weak dogs with many health problems, including shortened lifespans. So why are they so popular? Like just about every other “fashion” pressure, these tiny dogs are bred to appeal with their cute, puppy-like features that will fit in almost anywhere, especially inside the expensive, designer handbag. How did the mysterious current craze for ever smaller dogs come about? Why are teacup sized dogs such a hot commodity? Is it because we humans are ever so enamored with smaller and smaller electronics — smaller phones — smaller computers — so why not extra small dogs, too? These tiny dogs are miniaturized versions of already small or toy sized breeds, such as the Yorkshire Terrier, and are much smaller than any officially recognized dog breed, generally weighing no more than four pounds when they are full grown. Perhaps it’s time we humans took a closer look at what the ultra small fad is creating in the canine world, and choose instead to not be part of a practice that has far reaching disastrous consequences because there are at least three very pressing reasons why you should ignore the micro dog hype. There are many issues with these ultra small dogs that begin long before they are even born. 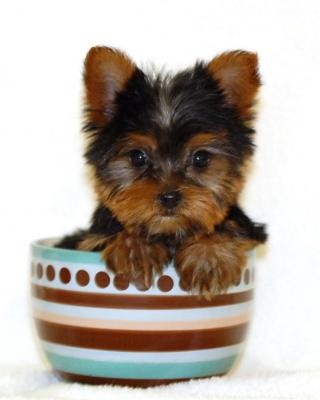 Although teacup-sized dogs can occur naturally in every litter which usually produces a “runt”, or one dog smaller than all the rest, more often than not, because of the ridiculous craze for these micro-miniaturized dogs, they are being born as a product of unscrupulous breeders intentionally breeding two undersized dogs. Breeding teacup-sized dogs is a risky proposition for both the mother dog and the puppies themselves. First of all, the mother dog is so small, that it’s unlikely that she can produce any more than two puppies at the most, and with such tiny Yorkie puppies there is a greatly increased chance of them suffering from many complications. You might think this is bad enough, however, there is much worse to come when the call of the almighty dollar gets in the way. 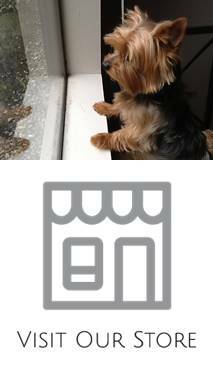 Tiny Yorkie dogs in high demand can sell for many thousands of dollars, and this creates a very large incentive for unethical breeders to place the health of the mothers and puppies at serious risk and second only to making a big profit. When this happens, disreputable breeders will produce the highly sought ultra-small puppies any way they can, which often includes inbreeding of litters that are closely related as well as implementing inhumane starvation practices to stunt a puppy’s growth. 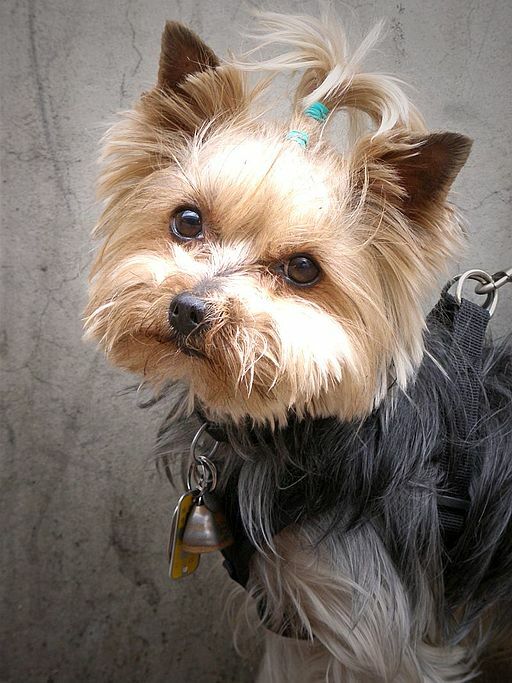 The fact is that there is only one recognized Yorkshire Terrier classification, and this is “Toy Breed”. Although you may have heard various terms to describe a very small Yorkshire Terrier, including “T-Cup“, “teacup“, “teddy bear micro mini“, “babydoll miniature“ or “purse puppy“, these are not standard breed Yorkshire Terrier puppies or adults. When searching for your perfect Yorkie puppy companion, always be highly suspicious of any Yorkshire Terrier breeders who advertise their puppies using descriptive words other than “toy” and look elsewhere. Further, because there is no officially recognized teacup breed, fraud becomes another factor, as there is no guarantee that the tiny puppy you are purchasing from the breeder is actually going to grow up to be less than 4 pounds. It’s all too easy amongst unscrupulous breeders to sell a puppy at a very young age, when it should still be with its mother by telling the prospective purchaser that the puppy is a teacup when in fact, it’s a few weeks younger than what the bill of sale is indicating. Making this problem even worse is the fact that responsible, reputable breeders refuse to sell teacup-sized puppies, which means that the market is left wide open to those types of breeders whose only concern is a large dollar return. 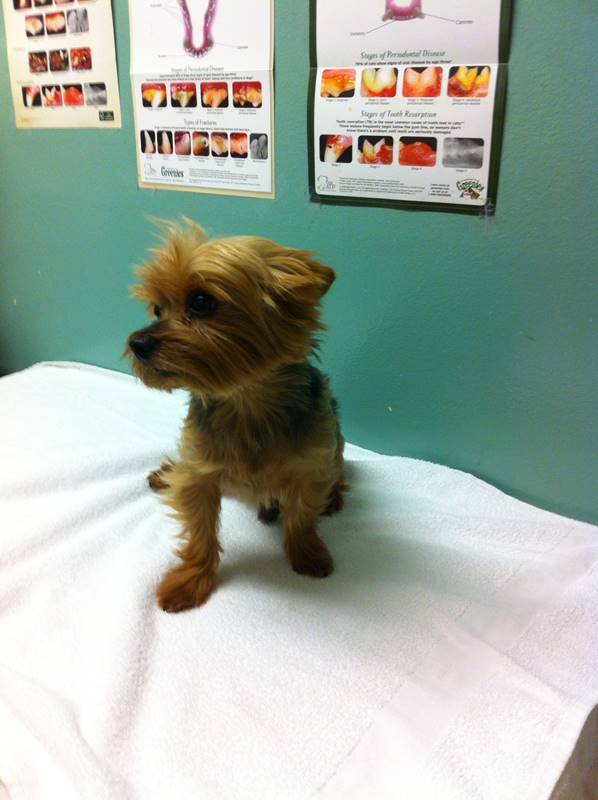 Of course we understand that every breed can be prone to certain diseases and disorders, however, the list of issues for teacup-sized dogs, including the Yorkshire Terrier, is long and extremely severe. For starters, “teacupism” creates health issues that are directly related to their unnaturally small size. Next, there are problems which are a result of inbreeding and other questionable, inhumane practices of backyard and puppy mill breeders. Due to the culmination of all of these issues, ultra small dogs as a group tend not to live nearly as long as their normal-sized counterparts, sometimes dying within two years or less. Every article written about teacup-sized breeds can hardly fail to mention the very common occurrence of hypoglycemia (low blood sugar), which can cause brain damage, seizures and ultimately death, if not noticed in time and carefully monitored. Many of these ultra small dogs must be hand fed several times a day, and sometimes force fed if hypoglycemia is evident, and even if they are lucky enough not to suffer from this life-threatening condition, tiny dogs are often plagued with digestive problems and poor appetite which is a constant stress for themselves and their owners. Other common health issues include liver shunts, hydrocephalus (water on the brain), heart problems, and respiratory problems. Anyone considering a teacup should factor in the potential for higher-than-normal veterinarian bills — not to mention all the worry, frustration and heartbreak that come with owning a chronically ill pet. If you are lucky enough to have a fairly healthy, very small Yorkshire Terrier, you will have to closely monitor it 24/7 simply because the ultra small size of this dog means that it will live in constant peril of accidentally being injured or maimed by life that is so much larger than itself. Anyone who has ever lived with a small dog will understand some of the simple problems being short can create. For instance, they need to be lifted on and off of most furniture and in and out of vehicles because they are too weak and too short to make it on their own and you don’t want them to risk injuring themselves by trying to get up or down on their own. 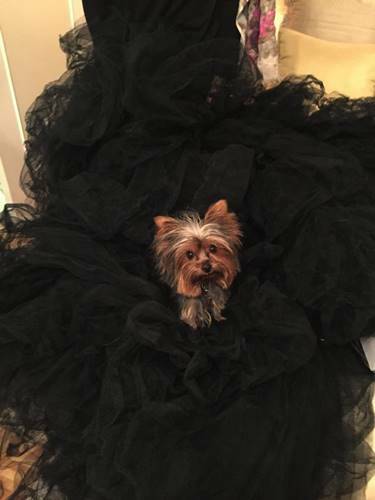 Now imagine that your dog weighs less than four pounds and that everything in its world is towering over them and you might be able to imagine the world of an ultra small Yorkshire Terrier. When you stop for a moment to think about the life of a micro-sized dog, it becomes obvious that these tiny dogs can be easily injured, especially when jumping down from a chair or couch or if they should squirm out of your arms and get dropped on the floor. Ultra small sized Yorkshire Terriers have much smaller and more fragile bones that can easily be broken. This makes abnormally small-sized Yorkshire Terriers a singularly scary choice for families with young children, who will all be fighting for the opportunity to carry around such an adorable little dog. This is a tragic accident waiting to happen. 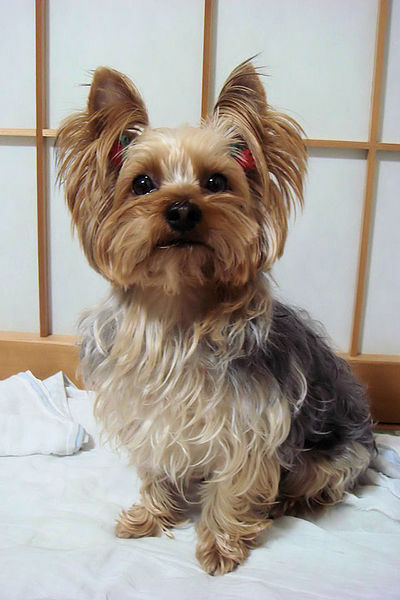 As well, other dogs, particularly larger ones, may accidentally hurt such a small dog, even in play, and those larger dogs with high prey drive may look upon a tiny-sized Yorkshire Terrier as some sort of rodent that they should kill with one swift bite. Indeed, the family cat should not be trusted around such a tiny dog, either, and certainly you will not want to leave them unattended in your back yard or while taking them for a walk as they could become easy lunch for a hungry bird of prey. 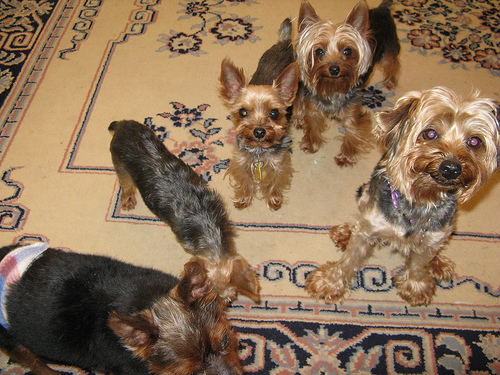 Most dogs have a tendency to get underfoot, and the same is true of Yorkshire Terriers, no matter what their size. What makes this problem worse is that you are much less likely to notice a micro-sized Yorkshire Terrier, which means that you are much more likely to accidentally cause a serious injury by kicking them or stepping on them. If after reading all of this you are still enamored with the idea of purchasing such a tiny dog, please do your research thoroughly to make certain that you are not keeping a disreputable back yard or puppy mill breeder in business. Always visit the kennel and meet the parents of the puppy and if the breeder is conscientious and trustworthy, they will also agree to you taking the puppy to your veterinarian for a health check up before you hand over what will likely be a hefty purchase price. Whenever in doubt, use our yorkie weigh chart. You can also request the breeder to weigh the puppy in front of you, and if they make excuses then perhaps you should consider buying from another breeder. Of course the kindest thing you can do for yourself and all those who may suffer as a result of the continuation of these types of inhumane breeding practices is to seriously reconsider getting that ultra small-sized Yorkshire Terrier and if you really must have something that fits inside a teacup, make it hot water with a teabag. How big will Teacup Yorkies get? Registering my parti colored female Yorkie. What color code do I use on the AKC registration form?